Ewes with Lambs at Foot & Dry Ewe Hogg. 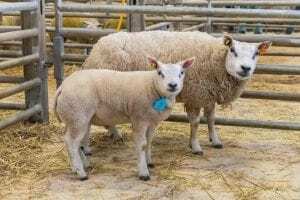 Pedigree Beltex ewes and lambs and embryo-bred lambs were in ready demand at Newark’s inaugural sale of pedigree ewes and lambs and ewe hoggs on Saturday (6 May), leading the prices at 2,500gns. Selling for the day’s top call was a shearling ewe with a ram lamb at foot, Bishops Andromeda, from Andrew and Becky Bishop. This Balbrydie Thor daughter is out of a Fearn Grand Slam daughter and was shown successfully last year. 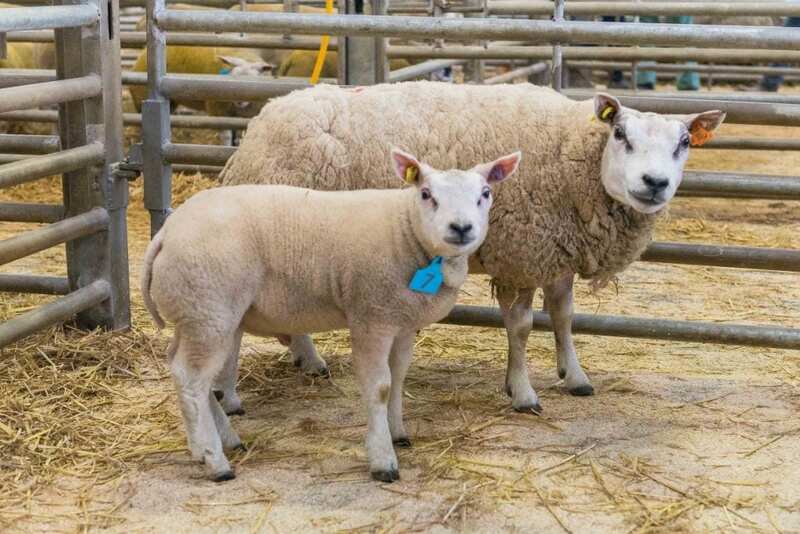 She sold with a tup lamb at foot by Withytrees Arnold and was bought by Emily South, Wendover, Bucks. 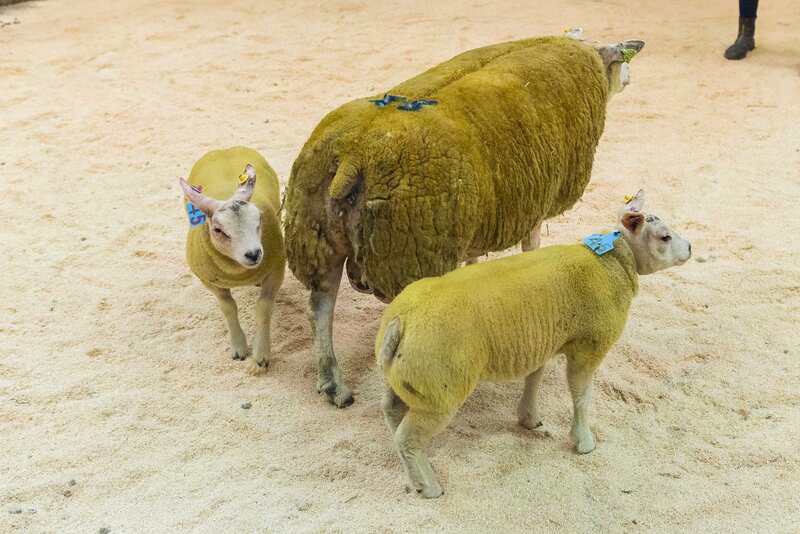 Second best at 1,500gns was Ali Jackson’s one-crop ewe with a ewe lamb at foot, Tiptop Wisdom. Sired by Vestry Super Star she is out of an Airyolland King of Clubs sired dam and sold with a ewe lamb at foot by Ainstable Aristotle. She sold to the Bowring family, Mansfield, Notts. 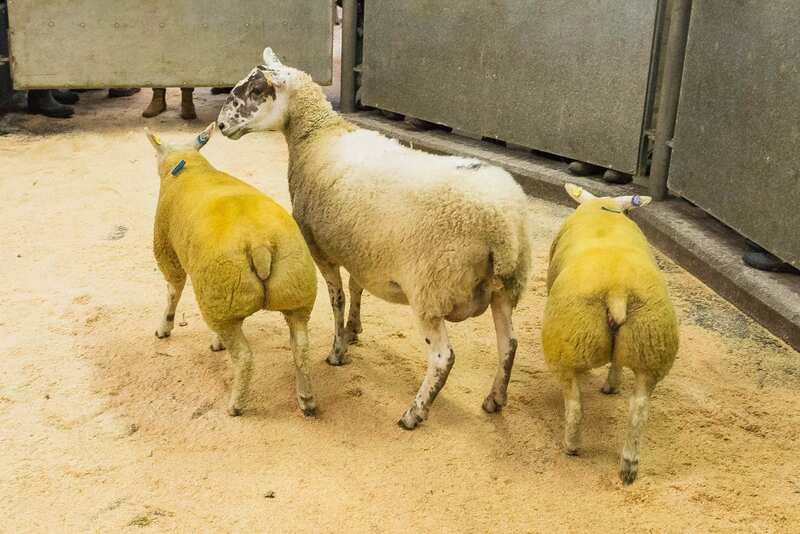 Then making 1,400gns was another from the same home, this time a Mule ewe rearing a pair of ET bred ewe lambs. 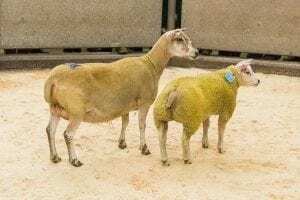 These are by Ainstable Aristotle and out of Tiptop Allstar which was first prize gimmer at the Royal Welsh in 2016. Buying these was Gordon Carroll, Huntly, Aberdeenshire. And following that at 1,300gns was the best of the day from the production sale from the Cromwell flock of Adam and Jessica Neachell. Their leader was Cromwell Caramel, an ET bred ewe lamb by Matt’s Abracadabra and out of Cromwell Tara, an Ainstable Renwick daughter. She sold to Claire Harrison, Daventry, Northamptonshire. Taking a 1,200gns call was another from the same home, this time a 2013-born ewe, Cromwell Twilight, sold rearing twin ewe lambs by Ardstewart Afrodisiac. This ewe is by Ainstable Renwick and out of a Bishops Nijinsky daughter. She sold to Gordon Carroll. After that came a 1,000gns sale for a recipient ewe with a ram lamb at foot from the Bishops. This was Bishops Cool, a Bishops Arnold son out of Luggsmill Priscilla. She was knocked down to Emily South. 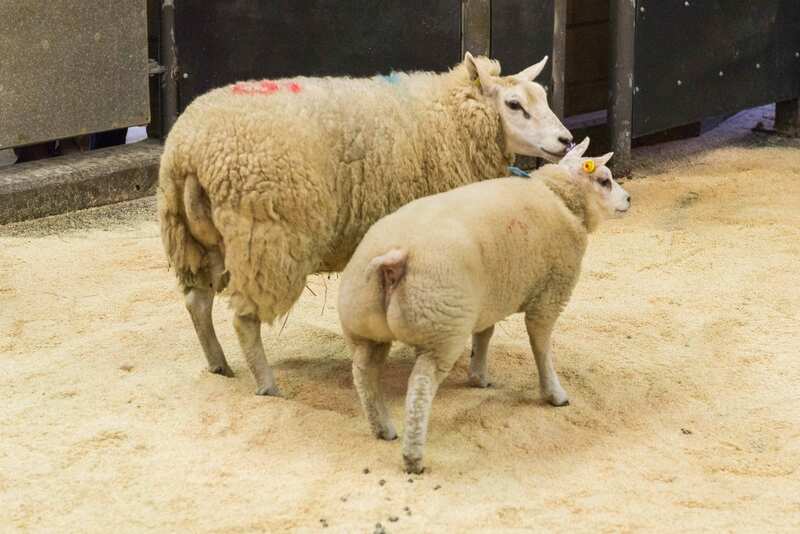 Next best at 950gns was another ewe lamb from the Neachell’s consignment, Cromwell Cinderella, a Woodwick Alpha daughter out of an imported dam, with this one selling to David Cormack, Leicestershire. Then trading at 900gns was Cameron Jackson’s recipient ewe with an ET ewe lamb at foot, Damside Clover. Sired by Hackney BBF she is out of Aviemore Well Muscled and sold to Messrs Bowring. And also at this money was an imported ewe from the Neachells, Godelinde V/H Vrijbos. She’s by Dean V/H Vrijbos and out of a dam by King and sold with twins at foot by Woodwick Alpha. She was taken by R W Mickleburgh, Norwich, Norfolk. Leading the dry hogget trade was a 750gns call for a Dean V/H Vrijbos daughter from David Thornley, Dooley Botty. She’s out of Dooley Rapness, a Dooley Pierre daughter and sold to T J Goldsmith, Hallow, Worcestershire. Next in line at 600 was Dooley Benfica, a Holmebeck Tonto daughter out of Sooley Swan, a Jef V/D Dri Musschen daughter. She found a new home with Barker Farms, Richmond, North Yorkshire. 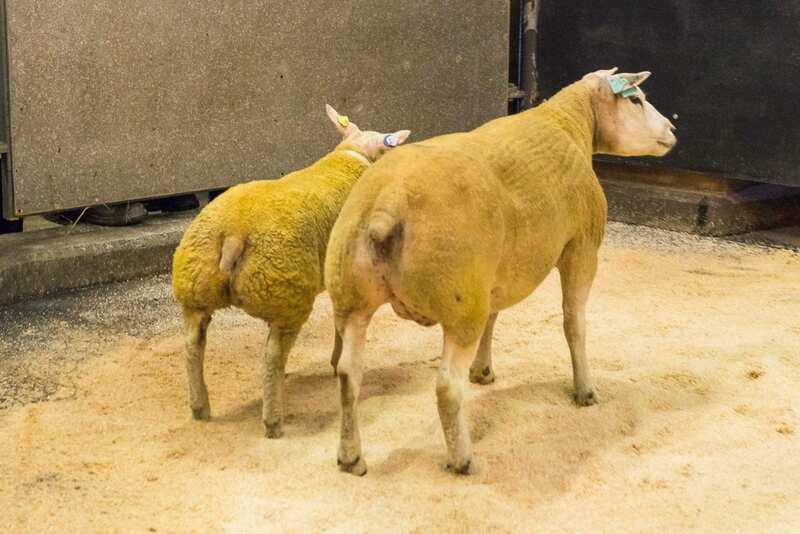 Also at this price was Dooley Brooke, an Airyolland Attitude daughter out of Dooley Wynona, an Ardstewart Paparazzi daughter. She was the pick of R M Shaw, Nethergate, Norfolk. Finally at 600gns was Freckleton Briar from the Roots family. This Woodies Arthur daughter is out of Freckleton Reveal, a Freckleton Kerron daughter. She was bought by Messrs White and Bartrum, Derby.